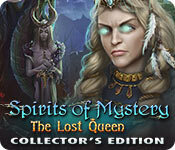 Spirits of Mystery: The Lost Queen Collector's Edition is rated 2.2 out of 5 by 29. Rated 4 out of 5 by funlovingrams65 from What a Difference. First off let me say that I am a fan of the Spirits of Mystery games but the last two were a bit , no, quite a bit different. This game was a nice change of pace for once and not so over-worked. And while I did not miss Mortis, or Isa or that darn lens to seek out monsters or poison flowers or whatever, I did miss Nanny. She could use an up-date. The game is short and for the most part the princess does quite well in saving her parents and kingdom as well as getting back the true heir to another kingdom. The puzzles were for the most part fairly easy with just a few that took some thinking. Colors were bright and sound was great. Was a bit low on the level of challenge as was the story line. Felt there should have been another chapter or two or three. I didn't feel like I had to rush from here to there to save the day. It was a pleasant change to just relax and enjoy for once. This would be a great game for those who are new to Big Fish Games and are interested in this series. To get your feet wet, so to speak. I am looking forward to the next Spirits game to see what else can be cooked up by the developers. I won't spoil it by going into details of the whole game. I'll let you discover that for yourself. Rated 4 out of 5 by matai9 from Green moon casts eerie glow on story Although I enjoyed most of the mini games and HOS, the story left me at a loss as to what is was about. The main game included more of a werewolf vendetta that morphed into a nautical nightmare full of menacing octopuses. I enjoyed the mini game with discs of varying colors that needed to be matched up according to whatever color you started with. Once one was chosen, a beam of that light color connected up to the next, with the option of being able to jump over other discs to link up like colors. I found this to be the best mini game and quite a challenge. Matching rune shapes to conquer a maze and routing a path with arrows chosen from a compass of sorts through a perilous sea rounded out the puzzles. 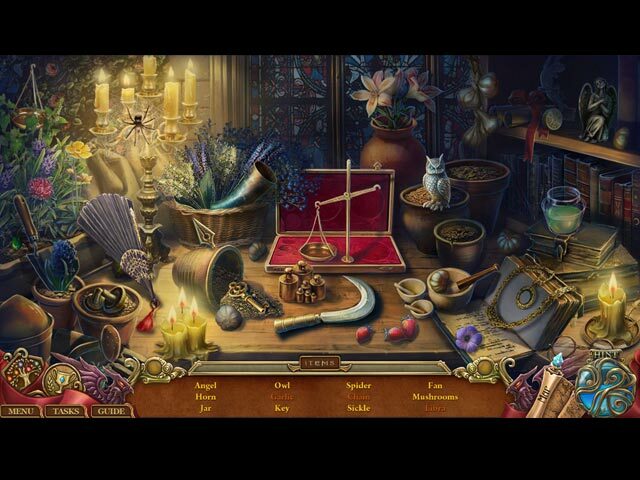 Hidden object scenes were mostly traditional lists, but beautifully drawn and easy on the eyes. I loved the soundtrack, which sounded like an Irish tune with pounding drumbeats and bagpipes. Morphing paws were fairly difficult to find, and there were lanterns to be collected that made their way to a magical tree where you could read their descriptions. I'm usually a fan of this series, but the plot was pretty thin, which made for a short tale that seemed to fade out as the game progressed. The bonus game was actually better, with a little more cohesive story, although very short. Rated 3 out of 5 by Tilliebird from Really short. Real easy. Was not expecting either... Let's put it this way, I finished the entire game with 15 minutes left on my trial. That was WAY too easy. I generally play on normal mode, not expert, but I have never had a HO game that was this short or that easy. I am actually a little in shock writing this because I did not expect it to end when it did. I didn't mind the easy aspect but the fact that it was so short - I would have been REALLY mad if I had paid money for this game. This would be a good "first timer's" HO game - interesting enough, visually pleasing but nothing too difficult. Rated 3 out of 5 by nefra from Missed the mark Really should have been a SE not a CE. People don't like spending their hard earned money on something that doesn't deliver hence the bad reviews. Wait till it's a SE before buying with a free game code. Rated 3 out of 5 by cathybobcat from World's Shortest CE Whatever were they thinking when this was developed ? They weren't... Although the graphics are very attractive and the gameplay on the easy and player friendly side for those who don't want to be challenged to death, it is the ridiculously short length that is the killer in this one...and a real cheat. It is unbelievable. There is no way that this is CE worthy....perhaps the SE with a pcc, but even that is going some as it will be even shorter than this edition is. If there was an award for the shortest game ever, this one would win first prize. How they could ever think that this was going to be a seller just on the length of the game alone is beyond me....a real shame and disappointment. Rated 3 out of 5 by hoosierhasbeen from Used to be a good series I've been disappointed in last few games in this series. Used to love the games. The demo on this was very short and hard to give a review. Based on what I have read, the game is short as well. I'm sick of buying a game and it ends after couple of hours. Not worth the money. Maybe later as an SE. I don't know. Devs need to back up and take a look at what we like and the value we get for our money. Rated 3 out of 5 by mamajay from Good Idea - Poor Execution I first played this as a beta (which was the same as the demo), and quite liked the story. So, when it was released, I tried it again, and decided to buy it, assuming it would continue to be a really good game. I was wrong. Too much was left unexplained, even in the back story, and as someone else pointed out, some of the translations into English left a lot to be desired. Which is very unusual for AMAX/ERS. I did NOT mind not having to listen to yet another "tale" from the Nanny - yay! I find her very boring, after all these years. The graphics, sounds, music, special effects, were all good, but the story was just, blah, really. I was disappointed that we couldn't go back and find missing collectibles. Nor did there seem to be anything extra to do with them after the game. No hidden jigsaw, nothing. And then there was the game length. The SG says 5 chapters, plus Bonus chapter, so to be finishing the main game in a bit over two hours was definitely a shock - I don't remember the earlier games being so short. I'll be thinking more than twice, before I buy another Spirits of Mystery game! Rated 3 out of 5 by littleone_17 from Not Collectors Edition Length Very disappointed in the length of this game. I liked the plot, and it could have been great. But it's like they wanted you to be excited enough to buy the game from the trial period, then rushed to finish it. Only took 30 min past the trial period to finish the game, then another 30 min to do the bonus game. Definitely should have read the other reviews, but I really enjoyed the first part of the game and thought it was going to be fun to continue. The artwork was on par with other games, the general gameplay was pleasant, a little easy, but I don't mind that. There were two slightly annoying mini-games in the bonus chapter, a match three style game and a change all the tokens to one design style game. Basically, this could have been a really good game, but the length and rushed ending ruined it. I feel like I wasted good money on this game. 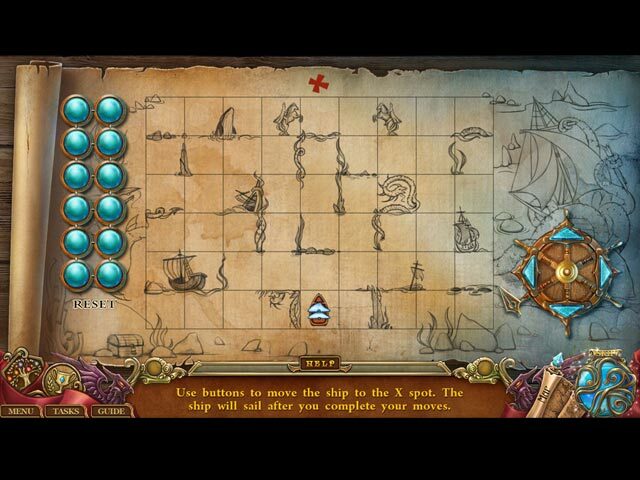 Rated 3 out of 5 by jripSoCal from OH DEAR I don't understand why Big Fish is even offering this game. It's not slightly close to the usual level of HO's I've come to expect from them. I agree with Sunny on this one, it's NO, …..JUST NO. Rated 3 out of 5 by Poodlebear from SUPER short. SUPER easy. What happened? I have really enjoyed other games in this series but this offering fell short, VERY short. I completed the main game in less than an hour. I did skip a couple tedious puzzles but only a couple and still hit that 1 hour mark if that. The puzzles I did play were nothing new and very easy. If you had to find pieces of something and reconstruct it (which happened several times) a blue outline showed where the current piece went so you didn't even have to figure that out. Black box tips were not hints but solutions. 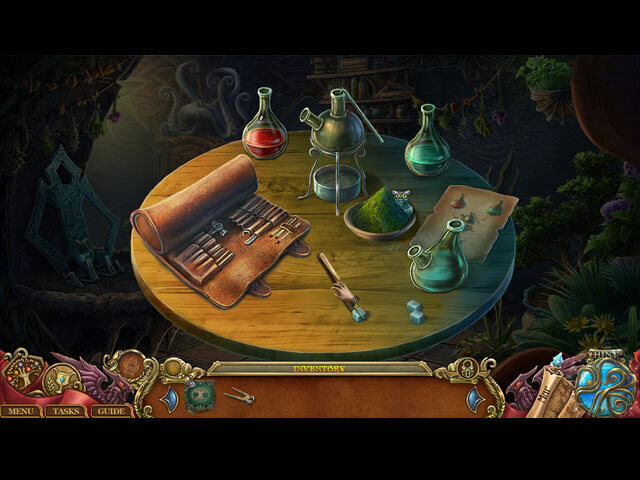 Very little continuity or story or logic and TERRIBLE translations in a few Hidden Object Puzzles that made the accompanying story text unintelligible. The whole game felt rushed to deadline, like it was cobbled together from old pieces, to vaguely fit the series. The reason I gave it 3 stars rather than lower is it was still pretty to look at, a fantasy game (my favorite genre) and I got it on the 2 for 1 sale. Had I paid full price I'd be really unhappy. My advice is wait for the non-collector version or skip it.